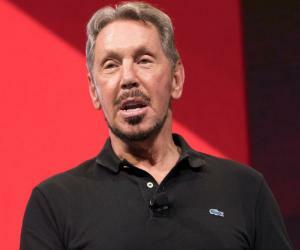 Larry Ellison is the co-founder and chairman of Oracle Corporation. 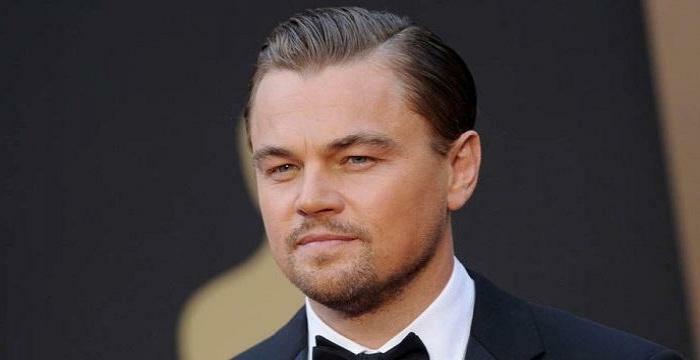 This biography provides detailed information on his childhood, life, career, achievements and timeline. Lawrence Joseph ‘Larry’ Ellison is an American businessman, best known as the co-founder and CEO of multi-billion dollar software company, ‘Oracle Corporation’. He was a university dropout who was highly inclined towards the newly developing computer design system and in pursuit of success moved to California from Chicago. He started out by developing databases for CIA and quickly escalated to the idea of forming his own company, after developing the database ‘Oracle’. He co-founded ‘Software Development Laboratories’, which later came to be known as ‘Oracle Corporation’, with an initial investment of $2000. The company grew in the software market progressively since its foundation and with a fortune of about $ 52 billion Ellison is the third richest man in America. It is inspiring to note how a person with such a difficult childhood and youth, who was abandoned by his biological mother, never knew his biological father and was raised by an adoptive father who was distant and critical of him, achieved such great heights in life. Ellison is a man who achieved brilliance against all odds because of his courage, talent, strong ideas and hard work. 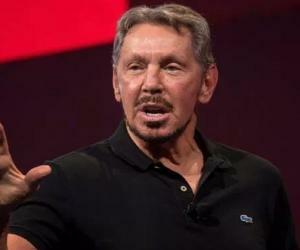 Larry Ellison was born in New York City to an unmarried teen mother of Jewish heritage. He developed pneumonia when he was 9 months old, which is why his mother gave him to her aunt and uncle for adoption. He was brought up on the south side of New York City and did not know until 12 that he was adopted. He attended the Eugene Field Elementary School in Chicago and later went to Sullivan High School. His adoptive father, Louis Ellison, had a small real estate business in Chicago but lost all of that during the Great Depression. Young Ellison did not go along very well with him as he was distant and unaccommodating. Although Ellison was raised in a religious household and often attended synagogue but he grew up to become a religious skeptic who did not believe in the conventional religious dogmas. He refused to have a bar mitzvah celebration when he was 13. Ellison enrolled at the University of Illinois but dropped out of college when his adoptive mother passed away. Later he went to the University of Chicago but soon dropped out of there too. After dropping out of the university, Ellison, during 1970s, started working with the Ampex Corporation. He worked to develop databases, in particular for CIA; a program that he named ‘Oracle’. In 1977, Ellison founded his own company under the name of ‘Software Development Laboratories (SDL)’. He started it with two other partners and invested about 2000 US dollars in it, initially. In the late ‘70s and early ’80, Ellison renamed his company as ‘Relational Software Inc.’, which went on to become ‘Oracle Systems Corporation’, named after its patent invention ‘Oracle’ database. He wanted his creation Oracle to achieve compatibility with the newly formed IBM System Inc., which was like Oracle based on Codd’s theories, but IBM refused to share System R’s code. In 1990, Oracle started losing money in the business and laid off about 10% of its working staff. This situation emerged due to Oracle’s marketing techniques. In 1994, Informix overhauled Sybase and became Oracle’s most important competition in the software market. The rivalry between the heads of the two companies - Phil White (Informix) and Ellison - was hyped in the media for years. Eventually, Informix announced its bankruptcy and Phil White ended in jail; his company was absorbed by IBM in 2001. Around the same time, Ellison who was also working as the director of Apple Computer for about 5 years now, resigned. After Informix and Sybase were defeated in the competition, Oracle went through a period of dominance and success until Microsoft SQL Server and IBM overtook the market. It is said that by 2005, Ellison was making a salary of $975,000 with $6,500,00 in bonus and $955,100 in compensations, which eventually became $56.8 million during the late 2000s. He was ranked as the richest Californian. In 2010, Oracle’s takeover of Sun Microsystems was granted by the European Union. This gave Oracle the control of the popular MySQL open source database. In the same year, Mark Hurd (ex-CEO of HP) was hired as Co-President by Ellison. By late 2000s, Ellison was estimated to be of net worth of $28 billion. ‘The Wall Street Journal’ reported him to be the best-paid executive. Ellison’s most important work of his career is considered to be his invention of ‘Oracle’ database, which led to the foundation of his company, ‘Oracle Systems Corporation. This has made him the third richest businessman in America. Ellison's yacht USA 17 won the second race of the 33rd America's Cup. He and his BMW Oracle team returned to America from Spain in 2010 with the title, for the first time in more than a decade. 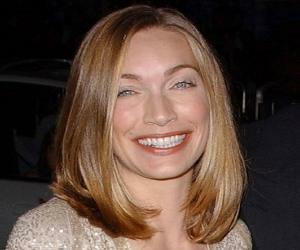 Ellison has been married 4 times. His first marriage was with Adda Quinn (1967-74); second to Nancy Wheeler Jenkins (1977-78), then to Barbara Boothe (1983-86) and had two children: David and Megan, and fourth to Melanie Craft (2003-2010). This famous IT entrepreneur and co-founder of a renowned IT company made a cameo appearance in the movie ‘Iron Man 2’ in 2010. Larry Ellison is a philanthropist and continues to donate for charitable causes. 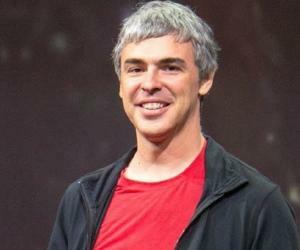 He is one of the 40 billionaires who have signed "The Giving Pledge". 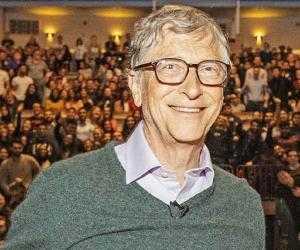 The Giving Pledge is an organisation founded by Bill Gates and Warren Buffet which encourages the wealthy people of the world to contribute their wealth to philanthropic causes. Larry Ellison, the chairman of the world famous IT giant ‘Oracle’ had a total wealth of up to $49.7 Billion, as of August 2014. Ellison worked with companies like ‘Ampex Corporation’ and ‘Amdahl Corporation’, before starting a firm with two others in the 1970’s. Ellison apparently was offered a pay as high as $ 975000 in 2005. He was also given stock option worth 7 million.